Last week, Chicken Tinga Tostadas were on the menu. I adapted the recipe to use what I had on hand and to fit my family’s tastebuds. While I cut the amount of chipotle peppers in half, the sauce was still WAY too spicy for us. I didn’t want to waste the sauce, and I didn’t have enough ingredients to make another batch. Like any resourceful cook would do, I searched for a solution to tone down the heat. For future reference, acid & sugar will tame heat. I thought using lime juice as the acid would work well with the flavors of this dish. You need to be careful if using sugar so you don’t end up with a dish that is too sweet (not good unless you are making dessert). In the process, I think I came up with a tasty sauce with amazing flavors. I love it when a mistake turns into something better than the original. Make Ahead Tip: I made the meat earlier in the day and kept it warm in the crockpot. 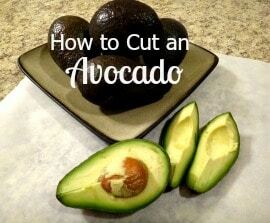 You could also finish it out in a pan on the stove if you want to serve it immediately. 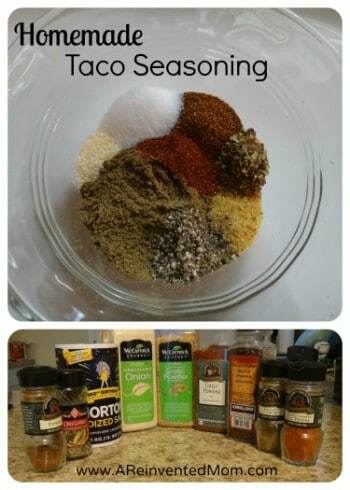 Chipotle peppers in adobo sauce – freeze the leftovers in tablespoon portions. Better than Bullion – as good as homemade without all the work. Slow cooker – the “Keep Warm” feature is awesome. 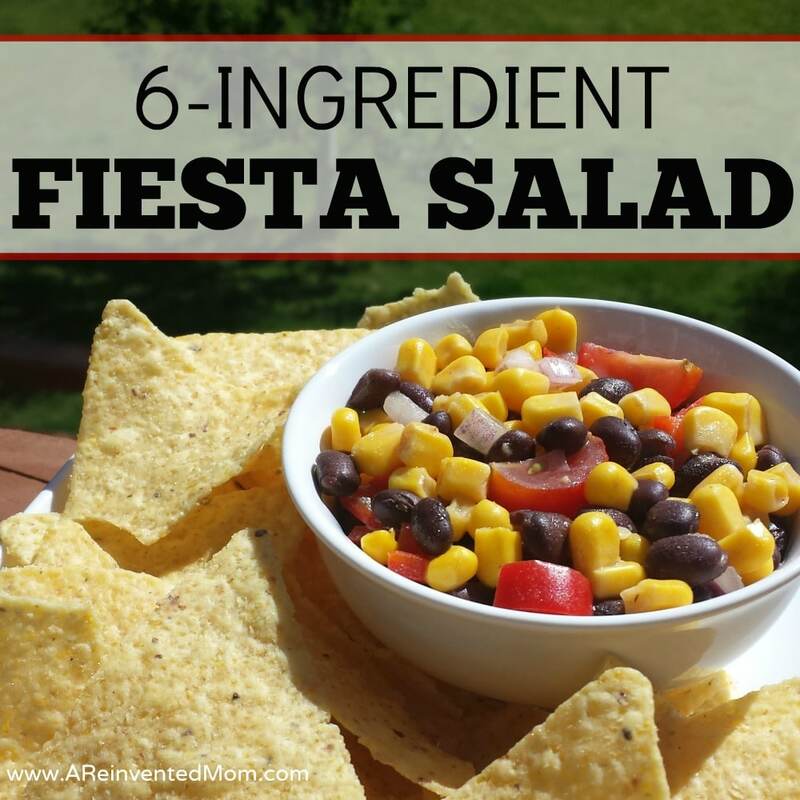 I’ve shared this recipe at Weekend Potluck, Meal Plan Monday and Pretty Pintastic Party. In a large pot, place the chicken, 1/4 cup of the slice onion, garlic and cover with water. Bring to a boil and cook over medium-high heat until done (about 20-25 minutes). Remove chicken from pot and shred meat. While the chicken is cooking, heat oil in a large skillet over medium heat. Add the remaining onion slices and cook until transparent. Bring a medium-sized pot of water to boil over high heat. Cut an "X" in the bottom of each tomato. Place a couple tomatoes at a time in the boiling water and boil until the tomatoes split or the skin begins to peel. Continue until all tomatoes are done, core and pull the skins away from the tomatoes. Discard the cores and peels. Place tomatoes, chipotle peppers, boullion, tomato sauce, lime juice and sugar in a blender. Process until smooth (use caution if the mixture is hot). Taste the sauce and make any adjustments (i.e. add salt & pepper if needed). Pour the sauce in the slow cooker and add the cooked onions and shredded chicken. Set on low and keep warm until serving. Alternative: mix in a large pot and serve immediately. 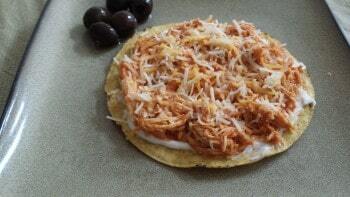 To serve: spread a small amount of sour cream on a tostada, top with the chicken mixture and optional toppings. - Bonus tip: before you discard the lime rinds, cut each lime half into 1/4's and rub the cut side over your sink and faucet for a sparkly clean finish. This also works with lemons. - Original Chicken Tinga Tostada recipe found HERE on AllRecipes.com. I adjusted several quantities and added tomato sauce, lime and sugar. Bring a medium-sized pot of water to boil over high heat. Cut an “X” in the bottom of each tomato. Place a couple tomatoes at a time in the boiling water and boil until the tomatoes split or the skin begins to peel. Continue until all tomatoes are done, core and pull the skins away from the tomatoes. Discard the cores and peels. Bonus tip: before you discard the lime rinds, cut each lime half into 1/4’s and rub the cut side over your sink and faucet for a sparkly clean finish. This also works with lemons. 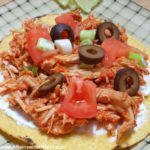 Original Chicken Tinga Tostada recipe found HERE on AllRecipes.com. I adjusted several quantities and added tomato sauce, lime and sugar.